First and foremost, the Ford Mustang isn’t going anywhere. The iconic muscle car will continue to be part of Ford’s lineup for the foreseeable future. In fact, the Blue Oval has big plans for the Mustang. According to Automobile Magazine, the next generation model will switch to the CD6 rear-wheel-drive platform that underpins the new Explorer and Lincoln Aviator SUVs. A three-row SUV-based Mustang? Indeed, and the reason why boils down to cost. Ford has done the math and by next year these SUVs will likely sell 300,000 units. To compare, last year Ford sold over 260,000 Explorers and barely 76,000 Mustangs. By 2021, the next-gen Edge is also expected to switch to the CD6 platform, adding even more earnings. Today’s Mustang is the sole Ford vehicle to ride on its unibody rear-wheel-drive platform. Switching to the CD6 architecture saves a lot of money but it also comes at price: size. The CD6 platform is highly flexible in terms of scaling it down. However, certain components cannot be downsized to match the current Mustang’s dimensions. The Dodge Challenger is an ideal example. It’s about the size, length and height as the Charger sedan because designers could only do so much. Specifically, the Challenger’s tall front cowl had to match the Charger’s. 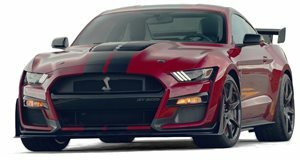 To give you a better idea how much bigger the next Mustang will likely be, the Challenger is 197.9 inches long with a 116.2-inch wheelbase. 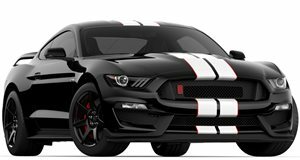 Today’s Mustang is 188.3 inches long and has a 107.1-inch wheelbase. See what we mean? It’s quite a difference. But there is an upside to a bigger Mustang. Its longer wheelbase would provide additional flexibility with EPA fuel economy rules because of its larger "footprint.” So there’s that. 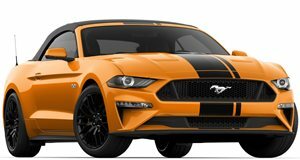 In the meantime, the existing Mustang is due to receive a major update by 2021. Not only will a hybrid variant happen, but all-new sheet metal front to rear is expected as well as a redesigned interior. The updates are so big, sources indicate, the Mustang will require some underbody work, too. 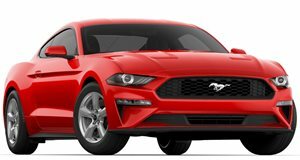 These updates are expected to give the current Mustang a new lease of life that will last until 2026, at the earliest. It’s possible the next-gen, SUV-based Mustang won’t even be ready until 2029. Whether it’ll adopt a pure electric powertrain is another issue entirely.